Top row (left to right): 1. Megan Stroud, 2. Darrall Cook, 3. unidentified, 4. unidentified, 5. unidentified, 6. Nancy ?. Second row: 1. Leslie Spivey, 2. Cathy Dalrymple, 3. Donna Shepherd, 4. James Alexander, 5. Diane Thompson, 6. unidentified. Third row: 1. Sharon Wilson, 2. unidentified, 3. Becky Behrens, 4. unidentified, 5. unidentified, 6. Sandy Esquibel. Fourth row: 1. unidentified, 2. unidentified, 3. unidentified, 4. John Coronado, 5. unidentified, 6. unidentified. Fifth row: 1. Connie Richards, 2. Randy Hoover, 3. Cheryl Eiden, 4. 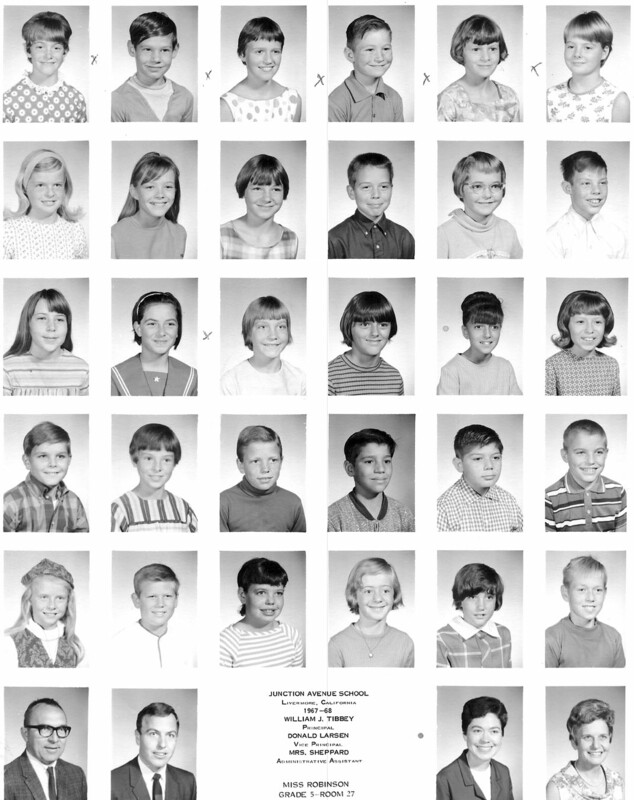 Karen Hendricks, 5. unidentified, 6. unidentified. Sixth row: 1. Mr. Larsen, 2. Mr. Tibbey, 3. no picture, 4. no picture, 5. Mrs Shepperd, 6. Miss Robinson.